This is something I’ve been thinking about for a long while, because I’m not so sure that many who work with these platforms actually understand how the browser and the web page interact. That doesn’t make sense. And it scares me a little. The only way to evaluate the quality of the data you use is to understand how it was collected. Keeping this in mind, I want to take a look at the page load sequence in the user’s browser, and what implications the different parts of the load process have on Google Analytics tracking. This short essay (or long rant, however you want to see it) is split into a number of sections. Each section represents a stage in the intricate process of what takes place in the user’s browser when they visit your website. Each part of this process has implications for how you can and should track the interactions this user has with your content. The Request - What happens when a user types an address into the location bar of the browser, and what are the pressure points for web tracking. The Render - How the browser turns the source code into a living document. The Interaction - Once the page is loaded, how are user interactions measured, and what are the biggest pitfalls here. As always, I wrap up with a summary. Everything starts with the request. When a user types your website address into the browser’s location bar, the desired outcome is usually that they see a web page. In order for this to happen, the browser uses the HTTP protocol to issue a request to the machine that hides behind the address. If there is a web server at that endpoint, if that endpoint has mapped the requested address to some resource, and if the request is valid (there’s no additional authentication required, firewalls don’t block the request, no security policies are violated etc. ), the web server sends an “OK” response, most commonly with a status code 200, and the document that was mapped to the address in the response body. This document is usually an HTML template file, i.e. the page source code, and the browser’s job is to turn this document into a dynamic web page. I mean, obviously, it’s a much more intricate and complex process than this, but the key interaction here is what happens when the web server receives the request. For successful collection of data to Google Analytics, there are some things here that you need to be aware of. If there is no resource mapped to the address the user requested, it means that the web server has to respond with a “resource not found” error. Now, at this point your web server should be configured so that if there is no resource to send to the user, a “Page not found” template is served instead. You should have GA running on this page with a tag that tracks pageviews. 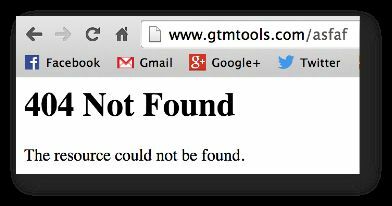 404 page tracking is a wonderful addition to the toolset of any savvy webmaster-slash-analyst. This is a bad practice. Use a custom template instead. Check the Bounteous post if you want to see a great way of tracking 404 errors in GA and GTM! If you’ve set up a redirect server-side, you must remember preserve query string parameters in the redirect! If you strip them out in the redirect, you’ll risk losing important campaign tracking information. This is essential to preserving data quality! If your website is essentially a single-page app, where instead of the expected HTTP GET request, the user’s browser sends POST calls, the rules of traditional page tracking change a little. You can no longer trust the reset that occurs with every page load, since there are actually no page loads after the first one. Instead, you’re going to have to come up with a new terminology for tracking your visitors. For some it’s scroll tracking, via events or virtual pageviews, and for some it’s tracking user interactions with the page, such as clicking on tabs or call-to-action buttons, and for some it’s invoking GTM’s history listener, which reacts to changes in browser state. If you’re using Google Tag Manager, an important aspect of these single-page apps is that the dataLayer object is not reset as it is with page refreshes. That’s because in a web context, the painstakingly rendered web page with all its variables, objects, elements, texts, links, images, and other clutter is recreated with every page refresh. In other words, objects on a given page do not persist to other pages. With a single-page app, there is no page refresh, so there’s no purge. The data layer is alive for the entire time the user stays on the page, meaning it’s more than possible that anything you store into dataLayer and send to GA might be sent with subsequent hits as well. Finally, an important aspect of interacting with the web server is that many analytics platforms expect standard behavior from your server. So don’t whip up your own custom responses if just the regular “200 OK” will do. If you don’t serve standard responses, it’s possible that callbacks are not executed, hits don’t get sent, and valuable data is lost again. Adhere to best practices in template handling and server responses - your analytics tool will thank you with good data. It’s much like what Auto-Tune does to talentless singers. The music industry uses Auto-Tune to turn pitchy Idol dropouts into pop stars. In much the same way, the web browser turns a hideous piece of anti-code into a web page without actually telling the developer bluntly that they’ve done a poor job. Now, we can argue that Auto-Tune is a good thing, and we can argue that it’s great that the browser helps you like this. But having a machine correct your singing is no excuse to stop trying to reach the correct pitch naturally, and having a browser fix your source code problems is no reason not to aim for good markup. For analytics, this browser behavior has some implications. Because every browser wants to be a bit better than the next, they have their own ways of parsing source code. Sometimes these idiosyncrasies are subtle enough to not make a dent, but sometimes they erupt into full-blown compatibility issues, polyfills, and disgruntled developers. At the heart of this tragedy is the analyst, who only wanted to know how many people leave a specific form field empty when submitting the contact form. If race conditions are at play, it doesn’t matter that the event hit began its execution after the pageview. What matters is that the event can finish first, because we can’t control asynchronous execution once it begins. For GA and GTM, it’s important that you recognize potential race conditions on your page. If you want to increase the odds of the pageview being sent before any subsequent hits, for example, you could set all other hits to wait at least until the DOM of the page has been loaded. This safety measure usually adds a tiny overhead to the execution of the tag that waits for DOMComplete, and it more often than not means that the pageview has had ample time to complete before any further hits are sent. If it’s not business critical data, you can even use the window load event as the hook for your other hits. The window has loaded when the page and all associated scripts have finished loading. If your code pushes data to GA after window load, it’s almost 100 % certain that the pageview has finished executing. However, if you have a heavy page full of big, uncached images (boo! ), and heaps of external JS files to load (boo boo! ), it might be too long a wait for some impatient visitors. Thus any hits that wait for window load might not get sent, as the user has already navigated to another page. The best way to make sure that asynchronous scripts load in sequence, and thus to avoid race conditions, is to use the callback of a successful hit as the trigger for the subsequent hits. So in your pageview, you can use the hitCallback parameter to specify what happens once the tag has successfully fired. In this callback function, you can tell your other tags that it’s ok to fire. With Google Tag Manager, using hitCallback together with dataLayer makes it really easy to introduce some order into things. Understanding race conditions is really important with eCommerce as well, especially if you use client-side HTTP requests to get the transaction data. It’s all too common to see a transaction tag executing before the transaction data is available. Map out the dependencies between your tags, eradicate race conditions by using callbacks, and leverage asynchronous loading as much as possible. Well all this page load stuff is marginally interesting, but it might not play a role in your idea of what web analytics is for, even though it should. But what you’re definitely interested in is how to track interactions on the site. Interaction is a loaded term, because it’s often difficult to pinpoint just what we mean by a user interaction. A click is surely an interaction, but is scroll an interaction? What about mouse movement, is that interaction? How about the shifting of the user’s gaze to a different part of the site, surely that’s not interaction? Well, it might be. This visualization shows how the submit() event starts propagating up the document tree, and once it reaches GTM’s listeners on the document node the auto-event tracking kicks in. It also shows you what happens if there’s an intruding call to stopPropagation() on the event object. But that’s GTM. 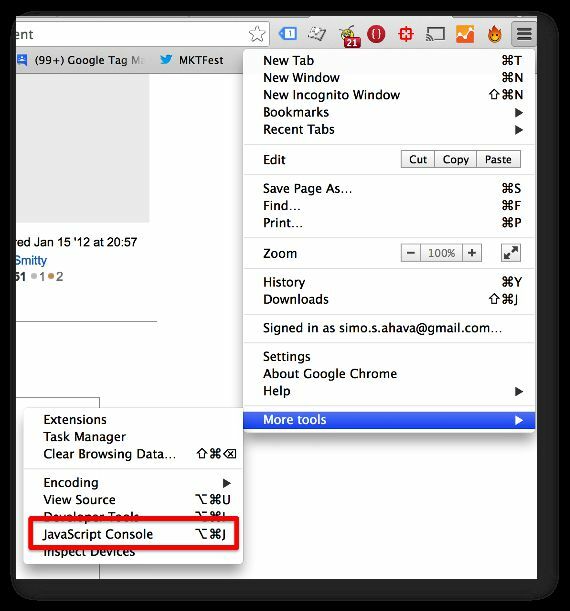 When you’re tracking with traditional GA, you can again use jQuery for easy, cross-browser event handling. The thing is that the more you leverage different frameworks, the more possibilities there are that things go awry. With interaction tracking, it’s so important to establish a discussion with your front-end developers. If you start injecting stuff onto the site that doesn’t play well with existing script infrastructure, you’ll have far bigger problems than data pollution. Your forms might not work any more, tabs which were supposed to change the content dynamically start redirecting you to completely different pages, elements flicker in and out annoyingly, and so forth. I hate just scratching the surface in articles, but we’re already past 3,000 words and if you made it this far you deserve a huge thank you.